Save big while gaining big power. With Cobb's Stage 2 Package you will be getting a combo set with Accessport V3, front mount intercooler system, cold air intake system, and rear motor mount. Add some style to your Ford Focus ST by providing a race inspired look with Cobb's front mount intercooler and intake system. Get rid of your stock parts and upgrade your performance with the help of Cobb's stage 2 package and unleash the power that's hidden within your Focus ST. 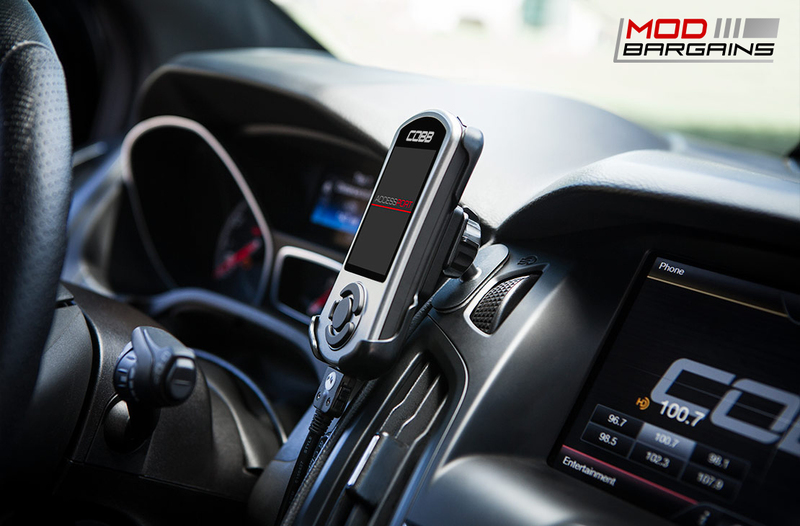 This Cobb Accessport V3 gives you the same huge power increase the V2 gave you, but with the ability to finely tune each Accessport to your vehicle. The V3 has more processing power, memory, and storage to flash faster while saving all of your maps and logs. With the new easy to use, large, high resolution LCD screen, tuning your Focus ST is easier than ever before. The accessport V3 unleashes the hidden power within your Focus ST by taking off the restrictive factory settings and software. This V3 plugs directly into your OBDII port and flashes your Ford's computer (ECU) in a matter of minutes in order to fully optimize the engines and turbos potential. The front mount Intercooler (FMIC) is the easiest way to drastically improve power when paired with Accessport's V3 tuning device. The stock factory intercooler can be overwhelmed with heatsoak. So, by using a 57% larger core with streamlined piping, your Focus ST will become alive with colder air that's up to 100 degrees cooler, which means more power. Let your turbo be heard. With Cobb's cold air intake system you will be able to listen to your turbo spool even louder. The narrow, restrictive OEM piping to the turbo is replaced with a 3" mandrel bent aluminum tubing which maximizes air flow while custom silicone couplers ensure a perfect OEM-like fitment. The Cobb intake is perfect for this Stage 2 upgrade level, when paired with the FMIC and finely tuned with Accessport V3. With more power you will need more reinforcement. 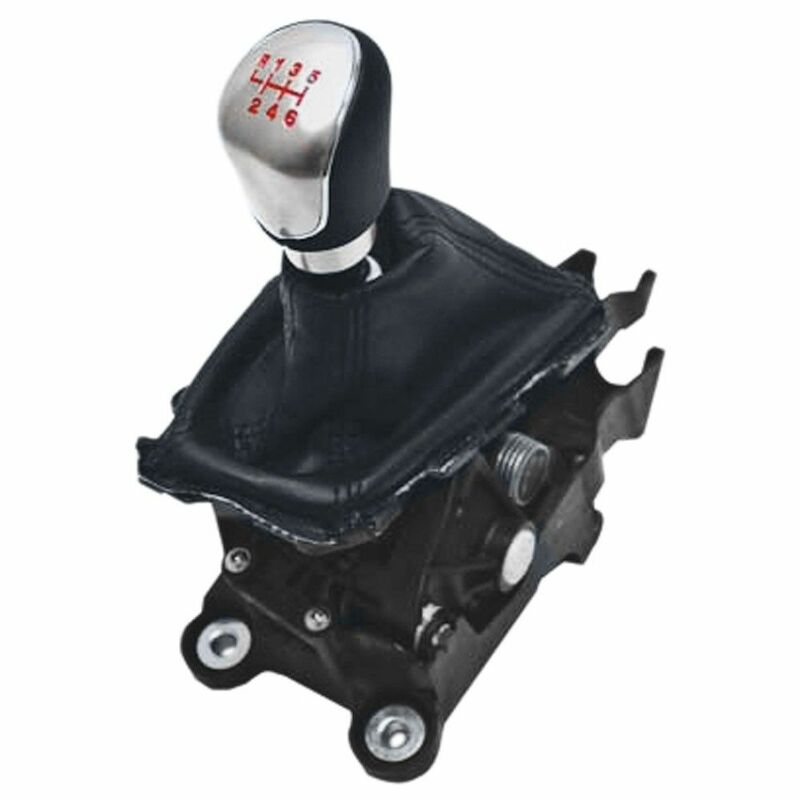 With Cobb's Rear Motor Mount (RMM) you will drastically reduce wheel hop, minimize engine movement, and improve traction to put all your power to the ground. Boost: Dynamic based upon atmospheric conditions, fuel quality, gear, rpm, drivetrain, and map slot. 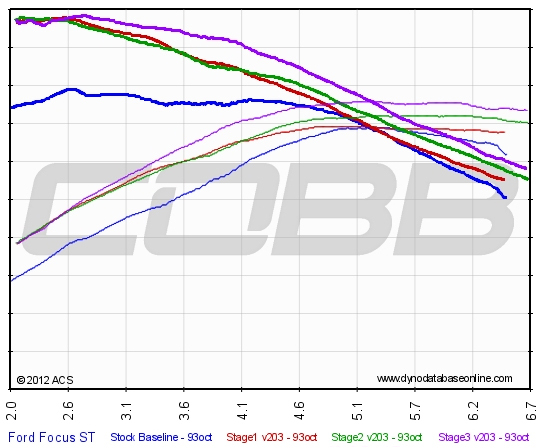 Up to ~21.5psi tapering to ~13.5psi by redline. (+/- 3psi).